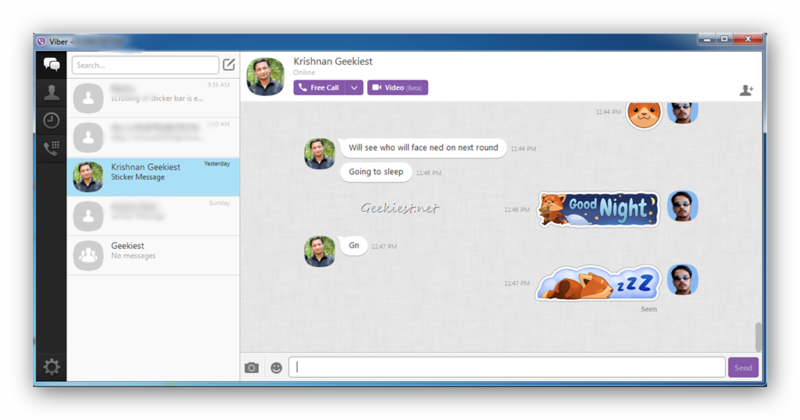 VOIP service Viber, have updated their Windows application today, bringing in some performance enhancements and a new side-bar. 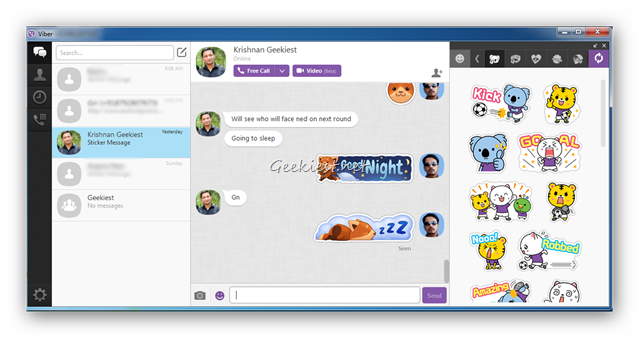 Viber for PC now has an all new Sticker side-bar, which stays open while you type your message. Prior to this, the stickers section was embedded within the conversation window, and had to be launched by clicking on the “Smiley” button, next to the text box. Should you wish to do so, you can disable the new side-bar by clicking on the downwards arrow, which will put it back in it’s old place, i.e, in the conversation window. You can re-enable the side-bar, by clicking on the upwards arrow. If you never use stickers, just click on the X button to hide it, and on the smiley button to get it back. The side-bar actually makes scrolling for stickers faster, but still there are absolutely loads of sticker sets and still no way to organize or rearrange them. Apart from this, the conversation feed has been re-designed slightly with new fonts, chat bubbles, and support for more languages. The latest Windows version is Viber 4.2.1.49, and if you previously had it installed, the app should update automatically. If you don’t have it installed, give it a go from the official website.